To make a mark in the blogging world, you need to have some reputation, and that reputation needs to be built. The best way to build a reputation is by becoming an expert in one particular subject or topic that you may be interested in. However, if you are already a specialist in any field or subject like a doctor, psychologist or architect, then it would help you to stick to that topic. In other words, be sure of what you are writing and become an expert, to lend credibility to the content of your posts. Be consistent in the regularity of your blog post. A good reputation ensures that what you write is "bought" by your readers. Knowledge, consistency, and credibility will get you more traffic on your blog and you may even develop a regular fan following. However, if you don't have an expertise, then you can easily develop one for yourself by studying and researching anyone particular topic that you may be interested in for a few months, to ensure that you know more about that topic and are confident enough to write about it. It's always a good policy to set up a standard for yourself and see that you stick to it. Once you have developed a reputation (which takes time), then see to it that you maintain your reputation and be consistent. It takes a lot of hard work, effort, consistency, perseverance, time and energy to build a reputation and it could take just a second to wipe away all. So, be careful. It is true that you have the complete freedom of expression while writing a blog, especially if it is your own. But, like it is mentioned in the Constitution freedom comes along with certain duties. Therefore, it becomes your duty to see that whenever you write something, make sure that you have all your bases covered and your facts right. Do not lay false claims that can hurt someone else. Such claims or false information is not tolerated well by the blogging community, especially those bloggers who have been around for a while. It goes without saying that if you have made a genuine mistake, then admit it fast and apologize to your readers as soon as possible. Do not be under the false impression that your mistake will not be noticed because there are enough experts out there who may end up reading it and even quicker to criticize it. Such criticisms can be damaging to your blog, giving you a bad reputation and even affecting the number of visitors coming to your blog. Now, you wouldn't want that to happen, would you? Admitting a mistake and correcting it, on the other hand, makes you sound sincere and people who read it would be willing to give you another chance. If you want your blog to be noticed and indexed by the search engines, then you need to make sure that you post content at a regular frequency and are consistent about it. Do not stay away from your blog for a long period, without updating it. If you need to take a break or for some reason unable to post content, then the best policy is to tell your readers that you will be away for some time. You are bound to lose the regular traffic to your blog if it is left unattended for a reasonably lengthy period. However, if you post regularly and have a set pattern (like two posts a week or a post every Monday) and be consistent about it, then your readers will know when to expect the next blog post. Be creative and write everything in your own words, do not copy or past another person's work and try to pass it off as your own. Plagiarizing content is a punishable offense that is taken very seriously and your blog could get banned, blocked or you could even get suspended from your Google AdSense account, thereby losing whatever money you might have made from your blog or posts. What's more, you may not be allowed to open another AdSense account in your own name. There are strict rules and policies and a "Zero Tolerance" stance in the blogging world, as far as a plagiarizer is concerned. You can develop your own unique style of writing, which might attract more readers to you. If you want to quote a passage or words from some other site or article, then make sure that you mention the source and provide a link back to the article in question. It is also acceptable to quote a sentence or passage by using the quotation marks and prefixing it with words like "so and so reports" or "according to so and so"
Controversies seem to rule the roost these days and unfortunately, it has also become the fastest way to fame and fortune. Yes, it is very easy to attract the attention of the masses by writing on a controversial issue, as people have their own opinions and like to voice them strongly. It takes a lot of courage to be controversial and to be able to handle all the strong reactions that are sure to come your way. But, if you are doing this only for cheap publicity and to gain quick popularity, then make sure that you do not lose your civility. If it's easy for you to voice your feelings or options strongly, then it is equally easy for you to be rude to the people who will most definitely react strongly to your statements. As mentioned earlier, you have every right to express your opinions or thoughts or feelings in your own blog posts, but that does not give you the right to be rude. You should be mentally ready to handle both negative and positive comments from your readers. Of course, most blogs have the option where you can delete comments. If you so desire. But doing that would send wrong signals to your readers. Therefore, if you want to appear like a person of strong conviction and mature thinking, it would serve you well to allow a fair discussion to be recorded, without being rude. Let everyone voice his/her thoughts too, equally. However, to allow comments or not, on your blog, is your own call. Do not write the title of your post in capital letters, and it is also not very polite to use capital letters within a post to stress on a word. In the computer world, writing in capital letters is akin to "shouting", which is not seen as a very polite thing to do. Instead, you can use "bold" to highlight an important text and keep only the first alphabet of each word in a title as capital letters. For example, the title "How to Make Money Online" is acceptable. There are many people who have made a full-time job out of their Blogs and earning enough revenue to make a living out of it. However, to accomplish that is not an easy task, and will require you to treat your Blog like business venture and do all that it takes to make it successful. In order to succeed, you need to be a good writer backed by consistency and knowledge, and the best way to become an expert is to practice writing, which one can do by maintaining the Blog. For any business venture to succeed, there need to be setting goals and objectives. It will help you to jot down your set of goals and objectives, with respect to your Blog, depending on what you want to do with it and where you want it to go. Set realistic goals and work towards them. Once you have your goals identified, then it becomes easier for you to focus on your task and remove all doubts about what your Blog is supposed to do. You should be ready to change your plans or direction in-between if things are not working as expected. Since the internet is a highly fluid and dynamic environment, you should always be alert to new developments and opportunities that present themselves to you. In the Blogging world, one can always capitalize on an event or changes that take place suddenly or happen once in a while. To give you an example - Brad Pitt and Angelina Jolie's wedding was an event that brought in millions of page views to the website or Blogs that featured their wedding photos or videos since it was an exclusive event and no reporters were allowed at the function. 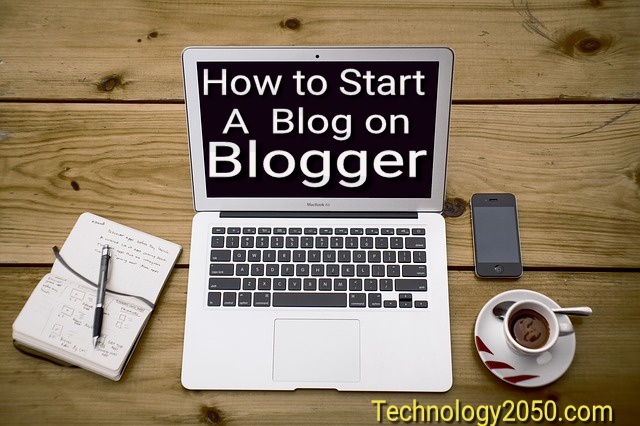 Getting traffic to your Blog is your first step to success. To achieve this will be required to provide plenty of good content on your Blog and content that is searched for on a regular basis on the search engines. In order to get your Blog to feature in the search engines, you will be required to optimize it with adequate and appropriate keywords. Keywords and Search Engine Optimization (SEO) plays a very important role in getting traffic to your Blog and since it is an extensive topic, it will be covered in greater detail in a separate chapter. 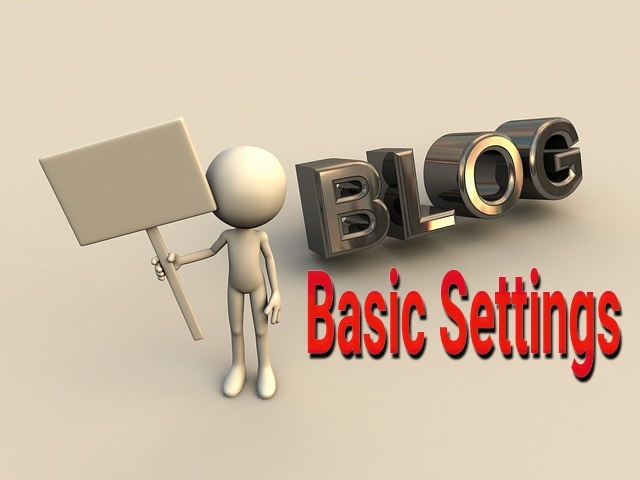 Creating a Blog for a particular niche will help you to target your readers. But to decide on a particular niche is not an easy task. To make things easier for yourself, choose a field or topic that you are familiar with and where you have some level of interest. Should you get bored with the subject in-between, then it will be very difficult for you to maintain your Blog. Once you have your Blog up and running, you will be able to generate some income from it, which will be explained in detail in the chapter "Monetize your Blog using AdSense". However, the income may not be substantial in the beginning and so you may have to look for other opportunities on the net, from where you can generate some extra income. Opportunities for making money are plenty as more and more companies, organizations and other Blogging websites are looking for Bloggers to add content for them. The best example of such a website is www.xomba.com. So far, this website has proved to be the best for Bloggers to submit their content and generate a substantial income with the help of Google AdSense. 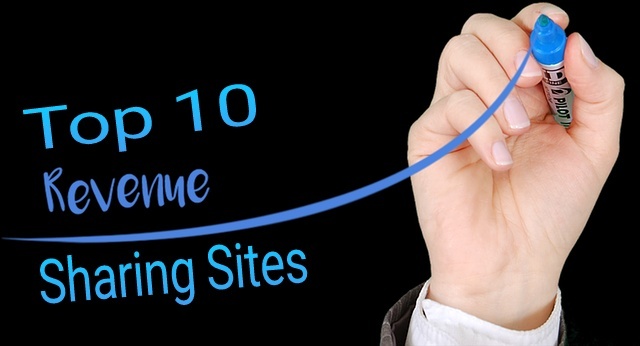 More about this is given in the chapter "Google AdSense Revenue Sharing Sites". You have just decided to become a writer and excited at the thought of getting published, which is very easy to do now, thanks to the internet and some writers' sites like xomba.com. You can rest assured that it will be an exciting adventure - one full of interest, enjoyment, and reward for you. Writing on the internet can be a very easy task, as most people indulge in what is called "Blogging" either on their own Blogs or on other social networking sites. This kind of writing is usually very informal and straight from the heart or mind, without much regard to the correct usage of the language, grammar or even punctuation. However, to become a successful published writer and take it up seriously as a career requires certain skills, talent, and techniques. If you want to take up writing as just a hobby for fun and enjoyment and possibly to earn some extra money, then you can take a much more relaxed approach without lowering your standards of writing. But, to become a professional writer or even a "good" enough writer to be taken seriously, there are some standards that you need to set up for yourself. One of the first steps in writing is to develop and cultivate your own unique style of writing. This goes a long way in building your own identity, reputation and helping readers to connect with you. You need self-discipline, perseverance and serious commitment towards your writing to be a successful writer and reap the rewards - enjoyment, personal satisfaction of creative achievement, and a good financial return too. It is always a good practice to write what you know to start with. Your ignorance is bound to show between the lines if you don't remember the Ernest Hemingway "Iceberg principle" (seven-eighths under water, only one eight above?). Your main objective as a writer should always be to entertain your readers. Even if you are writing as a journalist or non-fiction writer, whose duty is to inform, you should be able to do so in an entertaining, readable style - which is what creative writing is all about. If you want your writing to be taken seriously, then you need to put some efforts in studying the correct usage of language, grammar, and punctuation. Have you ever read any article or passage without punctuation and lots of spelling mistakes? It is very frustrating for the reader to read such a piece. Not only that, it also leaves a bad taste and an impression that the writers don't know what he/she is talking about. The result can be disastrous, you could lose potential readers who may never come back to read any of your work again. Now, you don't want that to happen. Do you? There are many resources and websites on the internet, which could provide you with ample tips and tricks to write well. You could also refer to online dictionaries and encyclopedias for correct spelling and grammar. If you work on a word processor, then always use the spell checker facility. But, you need to keep in mind that certain words like "to" instead of "too" will not appear as a mistake and you will need to re-read your work in order to spot them on your own. Try to polish your work as much as possible. Okay, so you have decided on a topic to write (congratulate yourself!). Now comes the difficult part of putting all you know together into a well-written article or Blog post. But wait, are you sure that you have all the facts and figures right? Whatever you chose to field is, fiction or non-fiction - articles, plays, short stories or even fantasy - sooner or later, you will need to do some research. It always helps to first jot down the main points that you are going to cover in your article. Check out all the dates, quotations, proper spellings of a place or name, or you may even have to trace some historical facts for a novel. All this requires adequate research that will certainly add depth and credibility to your work if you do it well. So, where do you go for your research? Well, there are many resources at your disposal and it is up to you to choose the best method. You can go to a library for reference books, or use the internet. The internet is a World Wide Web of information with websites, which provide information at your fingertips: these include sites for academic research, government facts and figures, and special interest sites. For writers, it is an endless source of information on anything you wish to research. You have done the research and collected all the information that you would need for writing. You have all your notes ready. Now, finally comes the difficult part of putting all you know together into a well-written article. How to put it across? 1. The opening paragraph of an article is probably the most important part, especially the first sentence. It should achieve several things - immediately catch the reader's attention, be relevant to the rest of the article, should be a topical or novel statement and interesting enough to lead the reader into the remainder of the paragraph and the body of the article. 3. Paragraphs are very important. Always make it a point to break up your information into different paragraphs, so that it is easier to read and assimilate for the reader. Do NOT try to cram too many ideas into one paragraph. One point in a paragraph is enough. The lengths of the paragraph can be varied. 4. The body of the article. The middle of the body of the article should be written in the same style as the opening paragraph and contain plenty of facts. Here is where all your research material will go, in a well laid out manner. Do NOT confuse facts with opinions. It is always best to leave personal opinions out of your writing unless you are writing a Blog or your personal experiences under the category of "Diary and Journal". 5. Add images, videos, graphs, charts etc. to your article, wherever appropriate, to make it more illustrative and colorful. An image helps not only to make an article more attractive to the readers but also adds more value as it instantly provides an idea of what you are trying to say in words. Similarly, graphs, charts, and bars when added can effectively illustrate statistics, facts, and figures. 6. Revising is Important. One can never emphasize enough on the importance of revision. It is always best to revise your article thoroughly before submitting it. Read it at least once and check it for incorrect spellings, grammatical faults and lack of clarity. Be critical of yourself. You should edit sentences and paragraphs to make them short and crisp. Once you are satisfied with the article, then go ahead and submit it. 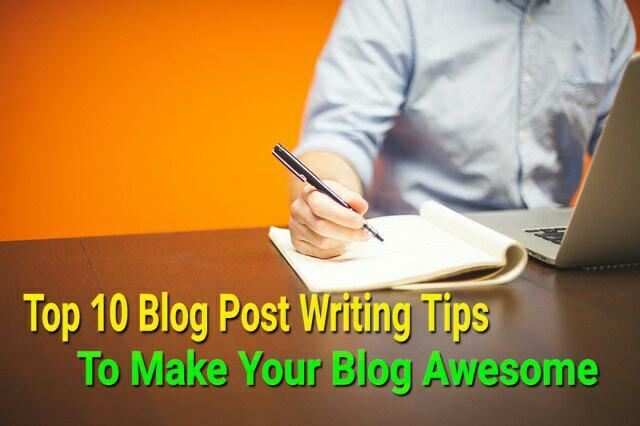 These simple writing tips should help to make a writer or a professional Blogger out of you. Remember, you need to develop your craft as a writer in order to succeed in either print media or the Internet. Practice makes perfect, so the more you write, the better you will get at it. However, "presenting your work and selling it" is a different ball game and a much more extensive subject altogether, which requires it to be covered in another chapter.